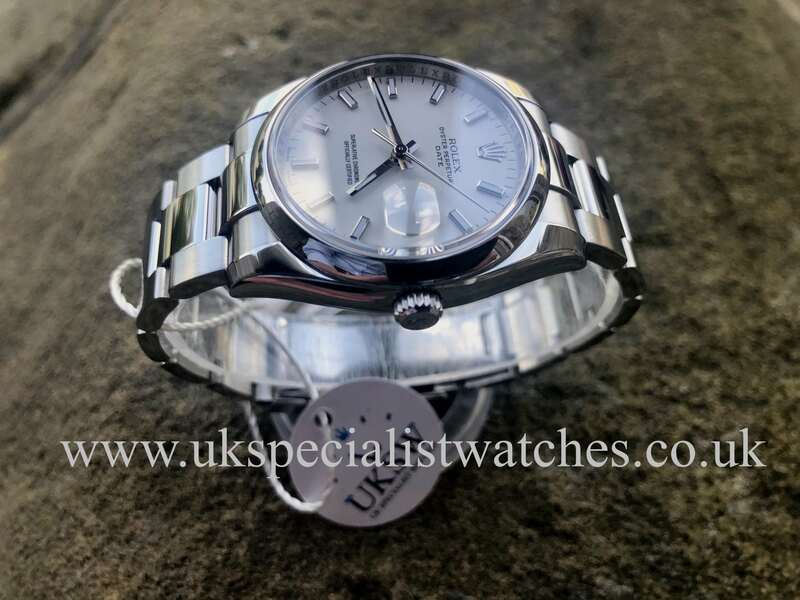 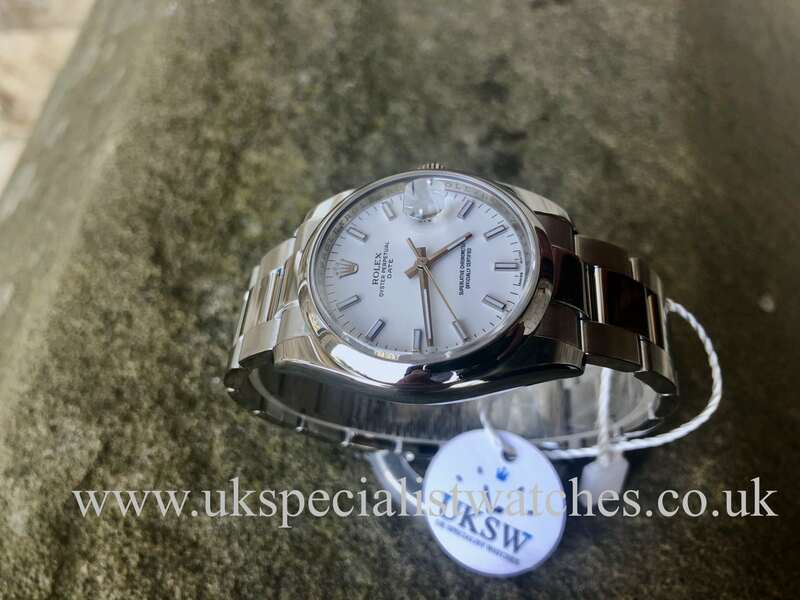 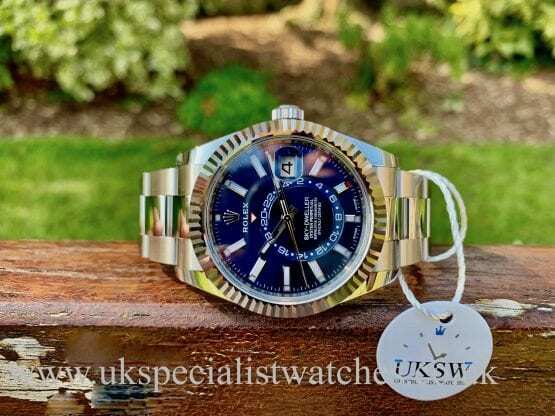 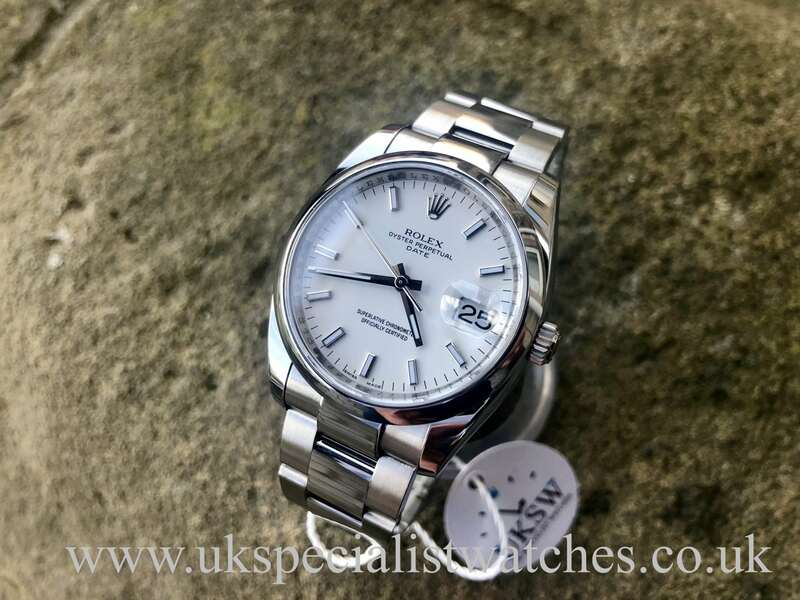 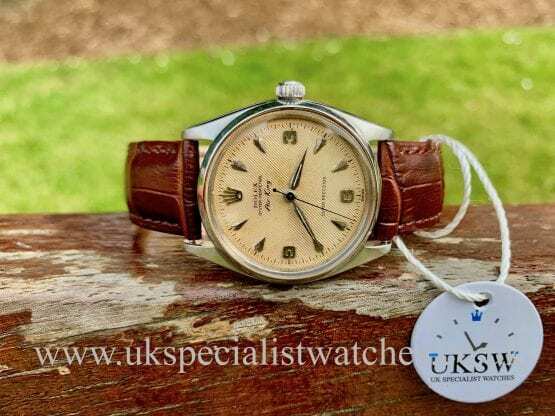 Rolex Oyster Perpetual date 115200 new model. 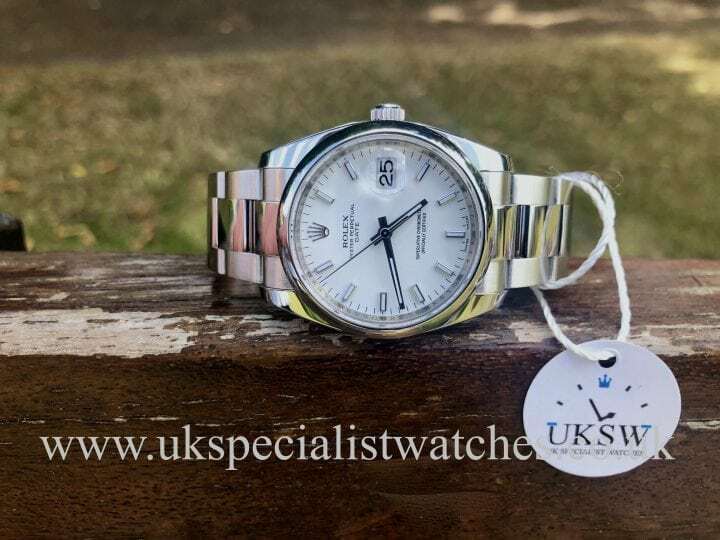 Solid stainless steel case with a highly legible crisp white dial with applied Roman numerals hour markers. 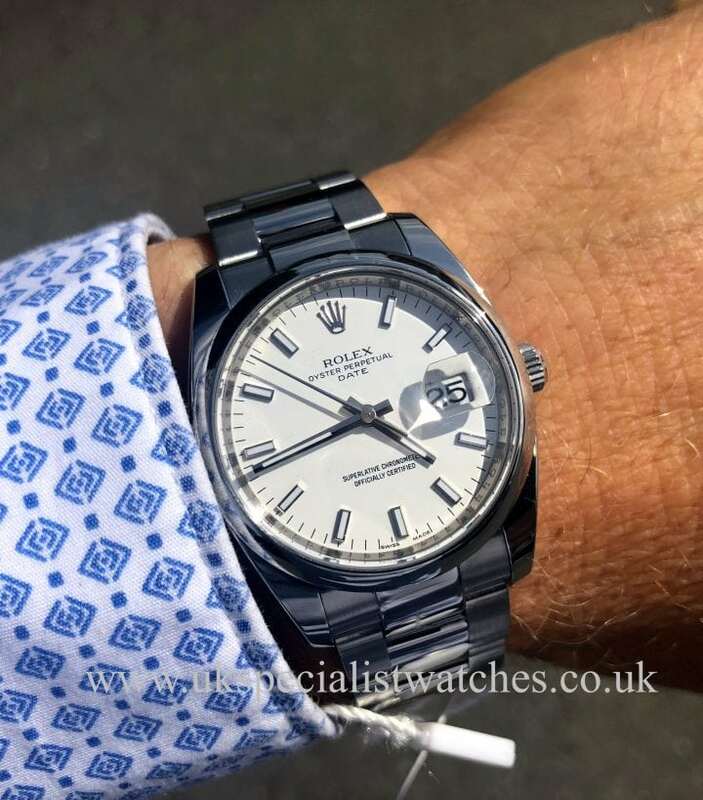 Date displayed at the 3 o’clock position, smooth stainless steel bezel. 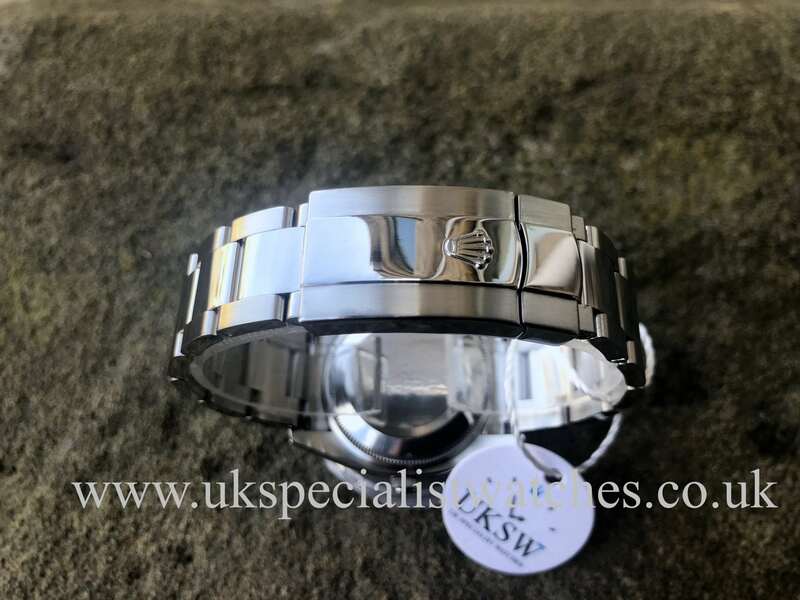 Fitted to a solid stainless steel polished and brushed Oyster bracelet with double folding clasp. 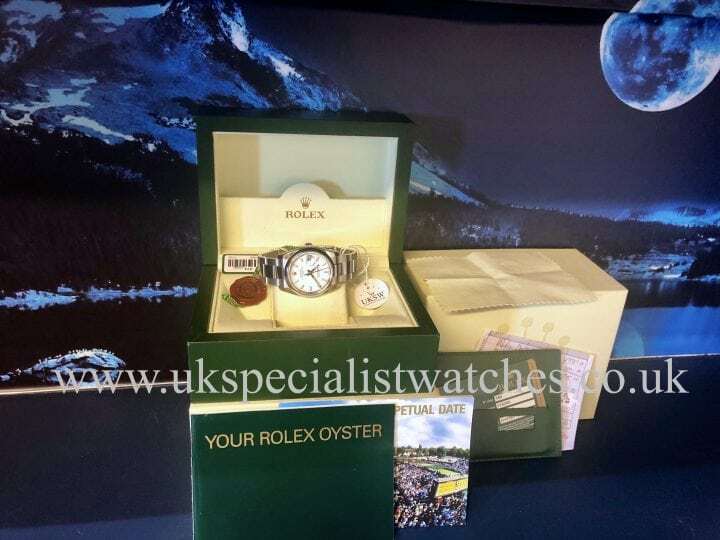 Our example is in immaculate condition, UK supplied new in 2009 and comes complete with all original boxes, warranty card, booklet and swing tags including the serial tag.